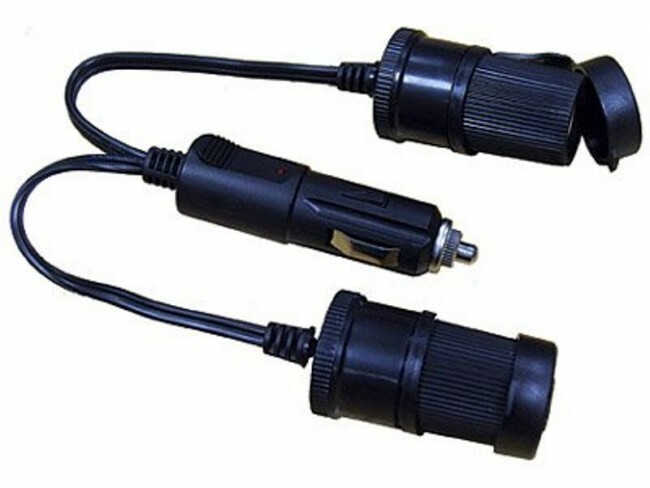 TWIN EXTENSION SOCKET 12V Twin extension socket for vehicle cigarette lights. Perfect for charging items. Extension means the charging can done from the back seat, and two things can be charged at once.